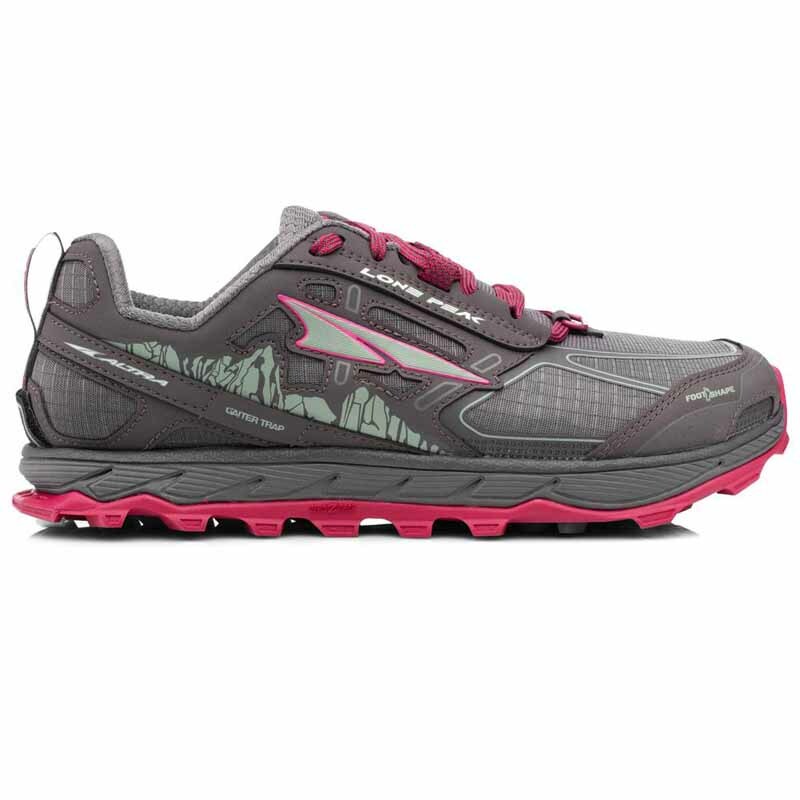 Altra's original trail shoe got some fresh new updates to make this version better than ever! First off, the upper is not only more breathable but more durable and secure, it features a static webbing cinch strap at the midfoot, a sandpaper textured toe cap, and improved drainage holes. The outsole got a complete makeover with decoupled TrailClaw and multi-directional, carved lugs for increased traction and reduced weight. And just in case all the new features didn't already have you stoked, the StoneGuard is completely new and now resembles the skeletal structure of a foot for dynamic flexibility and better performance. FOOTSHAPE TOE BOX: Allows your toes to relax and spread out naturally for more comfort and stability in uphill climbs and downhill descents. ZERO DROP PLATFORM: Places your heel and forefoot the same distance from the ground to encourage proper, low-impact form throughout your trail run.